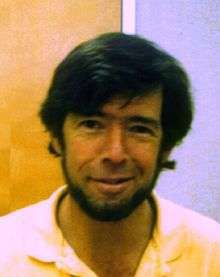 Curtis Gove Callan, Jr. (born October 11, 1942) is a theoretical physicist and a professor at Princeton University. He has conducted research in gauge theory, string theory, instantons, black holes, strong interactions, and many other topics. He was awarded the Sakurai Prize in 2000 ("For his classic formulation of the renormalization group, his contributions to instanton physics and to the theory of monopoles and strings") and the Dirac Medal in 2004. Callan received his B.Sc. in physics from Haverford College. Later he studied physics under Sam Treiman at Princeton and in 1964 received his doctorate degree. His Ph.D. students include Philip Argyres, Vijay Balasubramanian, William E. Caswell, Peter Woit, Igor Klebanov, Juan Maldacena, and Larus Thorlacius. Callan is best known for his work on broken scale invariance (Callan–Symanzik equation) and has also made leading contributions to quantum field theory and string theory in the areas of dyon-fermion dynamics, string solitons and black holes. Callan has been a member of the JASON defense advisory group since 1968, and was chair of the group from 1990 to 1995. He served as president of the American Physical Society in 2010. ↑ APS Physics, "2000 J. J. Sakurai Prize for Theoretical Particle Physics Recipient" (accessed 22 July 2009). ↑ "Curtis Callan". American Institute of Physics.